Not only are many festivals held in big towns, but also country’s best festivals sometimes take place in small towns in America. They come under different levels of size, scope, themes in all sectors such as entertainment, food and more with a variety of events. You will be satisfied when catching music festivals, film festivals, flower festivals, food festival here. Together explore best small-town festival below and then you might choose for yourselves a destination from them for the next travel. 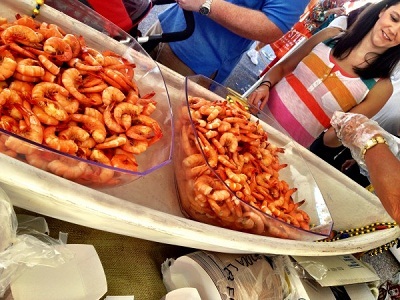 With more than 250 vendors, musical entertainment, an outdoor village, and plenty of shrimp, National shrimp festival attracts more than 250,000 people every year. The national celebration started in 1971 as a way to draw visitors to the beaches of Gulf Shores after Labor Day and has now established itself as an Alabama mainstay. And there’s plenty of shrimp-themed fun to be had: chefs compete to win the annual restaurant challenge with their best shrimp dishes and more than 200 pounds of shrimp are prepared every day for samples. 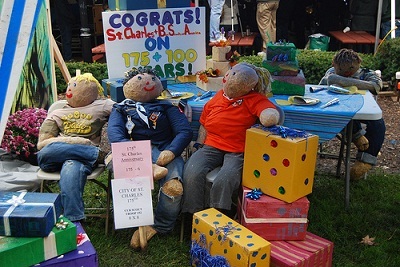 Scarecrow Fest has taken place at St. Charles for more than 25 years. Each year, attendees choose from more than 150 entries to crown the winner of the Scarecrow Contest, which breaks down into six categories. Entering its 30th year this October, the weekend-long festival includes two stages of live entertainment, make-your-own scarecrow stations, a carnival, and the Autumn on the Fox Arts & Craft Show. One amazing thing is that admission, parking, and trolleys are all free during the St. Charles festival. 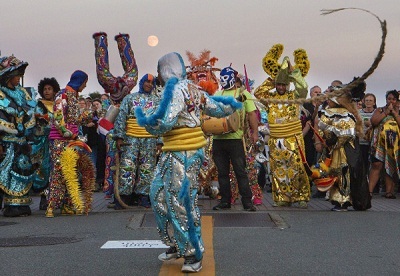 American Folk festival is held in Bangor, Maine during three days and attracts around hundred thousand visitors each year. Joining this festival, visitors will enjoy music and dance performances from a variety of different regions, cultures, and heritages. Along with craft demonstrations, a children’s area, food vendors, and a marketplace with hand-made creations, the festival also has workshops, where artists that share a similar instrument or tradition takes the stage together to perform and discuss their music. This is an interesting festival held on nine blocks of Uptown Lexington’s Main Street during one of the last two weekends of October and attracting a large amount of visitor. 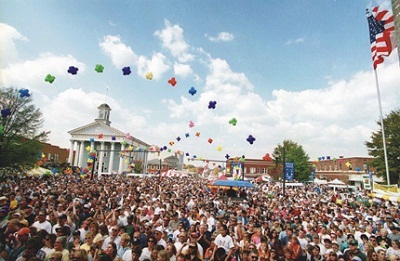 Since its start in 1984, the festival has celebrated Lexington, the Barbecue Capital of the world, and its famous slow-cooked and smoky pork shoulders, dipped in a vinegar mixture. There are about 400 exhibitors (selling crafts and food) in this festival and a number of special activities—in the past, visitors have enjoyed a bicycle stunt show, rock climbing wall, and an antique car show. Let it be a wonderful destination for your vacation. 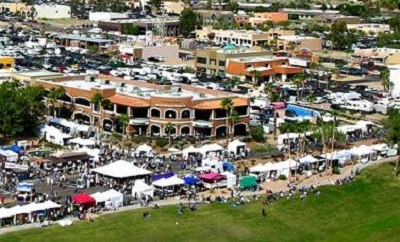 Fountain hills art festival lasts three days and attracts more than 200,000 people and around 500 artists from across the world. Along with live music, a beer garden, and food booths, the Fountain Hills Great Fair gives visitors the chance to view one-of-a-kind pieces of art. The fair offers scooters to rent, and admission and parking are free.